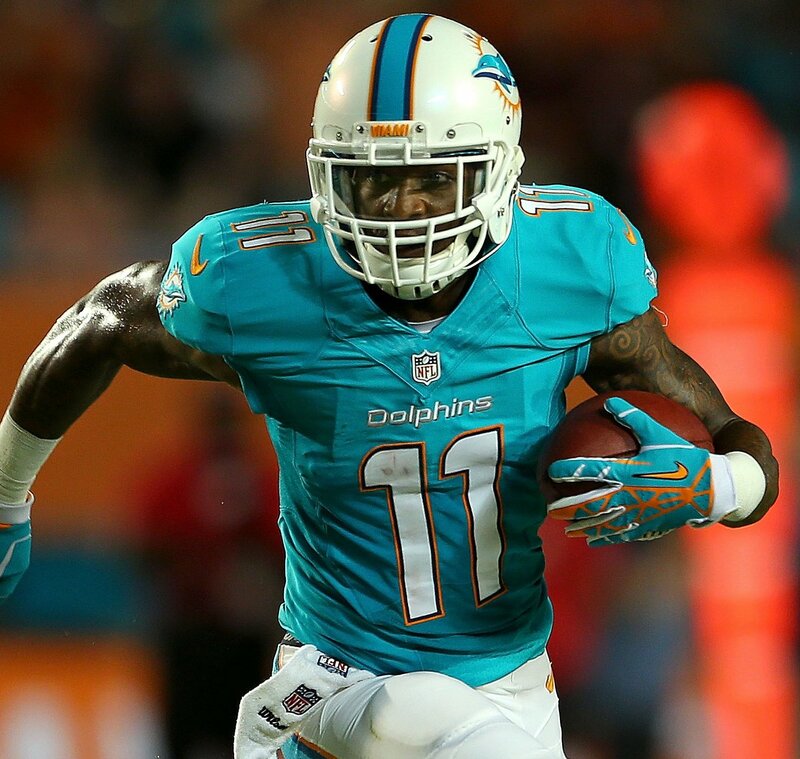 Expect Mike Wallace to move around the line of scrimmage this season, including lining up in the slot. With a new, more aggressive offensive coordinator in town in Bill Lazor, and a year with Ryan Tannehill under his belt, the only place for Wallace to go is up. Rookie Vikings running back Jerick McKinnon got some work in with the first team offense when Adrian Peterson took plays off. He showed impressive receiving ability and could get work this year on passing downs. He’ll be in the conversation for third-tier rookie running backs. Expect Cowboys tight end Jason Witten to keep playing every down this season. And with new offensive coordinator Scott Linehan, that should keep Witten among the top five in dynasty tight ends. It also will keep Gavin Escobar’s value limited. This entry was posted in Daily Update and tagged adrian peterson, Bill Lazor, gavin escobar, jason witten, jerick mckinnon, mike wallace, ryan tannehill. Bookmark the permalink.